R. Jason Richards, a partner with the firm, practices pharmaceutical liability, products liability, insurance and class action litigation. Jason is AV® Peer Review Rated by Martindale-Hubbell, the organization’s highest rating for legal ability and professional ethics. He also has been named as one of the “Top 100” civil trial lawyers in Florida by the National Trial Lawyers and recognized as a Florida Rising Star by Super Lawyers Magazine. Mr. Richards is a frequent author and speaker on legal issues. His scholarship has been cited by countless scholars and over a dozen federal and state courts, including opinions by the Eight Circuit Court of Appeals and the New York Court of Appeals (in dissent). Jason has authored appellate court briefs at the state and federal court level (including as lead counsel in two proceedings before the United States Supreme Court) and has presented oral arguments before Florida’s First District Court of Appeal. Mr. Richards has served as an appointed member (and former Chair) of the Florida Bar Journal’s Editorial Board since 2012. He has spoken at national legal conferences, law schools and colleges, and has taught continuing legal education seminars to other attorneys on various legal subjects. His opinions on legal issues have been quoted in several news media outlets, such as theNational Law Journal, Bloomberg, Fox News, and Law360. Mr. Richards also serves as an adjunct instructor at the University of West Florida where he teaches a course in Evidence. Most recently, Jason was appointed by a federal court to serve on the Plaintiffs’ Executive Committee in In re: Fluoroquinolone Products Liability Litigation (MDL 2642), a mass-tort litigation involving the use of Levaquin/Cipro/Avelox and the risk of developing peripheral neuropathy. Before that, he was appointed by a federal court to serve on the Plaintiffs’ Steering Committee in In re: Effexor (Venlafaxine Hydrochloride) Products Liability Litigation (MDL 2458). Mr. Richards has also been a member of the plaintiffs’ discovery, marketing, and law and briefing committees in the In re Zoloft multi-district litigation and served in similar capacities in the In re Avandia and In re Viagra multi-district litigations. 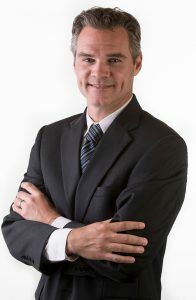 In addition to his experience in mass torts, Jason was lead counsel in a case in which he successfully obtained class certification on behalf of over 1,000 patients who were subjected to unlawful hospital liens and was successful in obtaining a court order permanently enjoining the hospital from continuing to use the provisions of a Special Act as a basis to enforce the liens. Prior to joining the firm in 2004, Jason served as a Deputy District Attorney in Colorado where he was as lead prosecutor in over a dozen felony and misdemeanor trials. He is admitted to practice in Florida and Colorado, before the United States Supreme Court, and in numerous other federal courts. DePaul University College of Law, LL.M. (Health Law), 1999. John Marshall Law School (Chicago), J.D., 1998. University of Colorado, M.A., 2006. University of Alabama at Birmingham, B.A., 1994. University of Alabama at Birmingham, B.A., 1993. “Reflecting on Hill’s Original Causation Factors,” 52 Trial 45 (2016). “We, the Class: What the Founding Generation Can Tell Us About Adequate Representation in Class Action Litigation,” 48 Suffolk U. L. Rev. 769 (2015) (co-author) (lead article). “A Primer on the Origins and Implications of the Thomas Becket Affair,” 1 Lincoln Mem’l U. L. Rev. 145 (2014). “Capping Non-Economic Medical Malpractice Damages: How the Florida Supreme Court Should Decide the Issue,” 42 Stetson L. Rev. 113 (2012). “The Politics of Extradition in Post-War Holland,” 15 Touro Int’l L. Rev. 122 (2012). “Cheap Meat: How Factory Farming is Harming our Health, the Environment, and the Economy,” 4 Ky. J. Equine, Agric. & Nat. Resources L. 31 (2012) (co-author). “Common Practice Makes Bad Law,” Chi. Daily L. Bull., April 26, 2011. “Answering Discovery ‘Subject To’ Objections: Lessons From Florida’s District Courts,” 35 S. Ill. U. L.J. 127 (2010). “The National Flood Insurance Program: A ‘Flood’ of Controversy,” 82 Florida B.J. 9 (2008). “Courting Wikipedia,” 44 Trial 62 (2008). “How We Got Where We Are: A Look at Informed Consent in Colorado-Past, Present and Future,” 26 N Ill. U. L. Rev. 69 (2005). “Florida’s ‘Valued Policy Law:’ Clarifying Some Recent Misconceptions,” 79 Fla. B.J. 18 (2005). “Reasonable Doubt: An Overview and Examination of Jury Instructions in Colorado,” 33 Colo. Law. 85 (2004). “Using Anonymous Tips to Establish Reasonable Suspicion for a Stop,” 32 Colo. Law. 61 (2003). “Colorado’s Government Electronic Transactions Act and the Future of E-Commerce,” 29 Colo. Law. 4 (2000). “Disabilities in Notary Law and Practice,” 32 J. Marshall L. Rev. 1033 (1999). “The Utah Digital Signature Act as ‘Model’ Legislation: A Critical Analysis,” 17 J. Marshall J. Computer & Info. L. 873 (1999). “Stop! … Go Directly to Jail, Do Not Pass Go, and Do Not Ask for a Notary,” 31 J. Marshall L. Rev. 879 (1998). “Richards v. Jefferson County: The Supreme Court Stems the Crimson Tide of Res Judicata,” 38 Santa Clara L. Rev. 691 (1998). “Cyberbusiness Needs Supernotaries,” Nat’l L. J., August 25, 1997, at A19 (co-author). “Notaries Public-Lost in Cyberspace, Or Key Business Professionals of the Future?” 15 J. Marshall J. Computer & Info. L. 703 (1997) (co-author). Co-presenter, “The Decade-Long Deception: FLQs and the Risks of Permanent Peripheral Neuropathy,” CAMG Webinar, 2016. Presenter, “Litigation Update: Fluoroquinolones,” HarrisMartin’s MDL Conference, 2015. Presenter, “Litigation Update: Fluoroquinolones,” HarrisMartin’s MDL Conference, 2014. Presenter, “Status of Litigation & Potential Venues,” AAJ’s Fluoroquinolone Webinar, 2014. Presenter, “Legal Ethics: Solutions to the Most Common Challenges,” National Business Institute, 2013. Co-Presenter, “Birth Defects: Zoloft and other SSRI Drugs – The State of the Litigation,” 2012. Presenter, “Find it Fast and Free on the Net: Strategies for Legal Research on the Web,” National Business Institute, 2010. In re Viagra Prods. Liab. Litig., 658 F.Supp.2d 1298 (D. Minn. 2009). In re People v. Cardenas, 62 P.3d 621 (Colo. 2002).